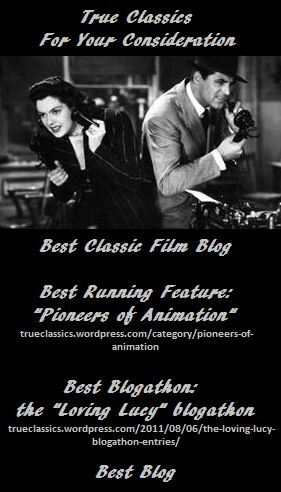 It’s that time again … the Large Association of Movie Blogs (the LAMB) has opened up nominations for the 2012 LAMMY awards to recognize the best that film blogging had to offer in the previous year! If you are a LAMB, please consider nominating us for one of the categories listed in our “For Your Consideration” banner above. Nominations are open until May 27th! You can find all of the details at the LAMB site. Good luck to ALL the members of the flock! Some general announcements of general interest. ← The growth of a classic film fan. Jealous of your ad lol!